This entry was posted in automatic, Citizen date, Citizen diver, hand winding, jet, parashock, parawater, vintage Citizen and tagged 1129 calibre, autodater 200m, citizen, citizen 1120, citizen 200m, citizen auto dater, citizen autodater, Citizen diver, citizen jet 1120, citizen para water, citizen para200mwater, skin diver, skin diver 200m, skin diver citizen, vintage citizen diver. Bookmark the permalink. Hi! The price depends a lot on the condition. Can you post a picture or two? Just upload them on http://www.tinypic.com and post the link here. I was hoping that someone was still there, and could answser an easy question for me. 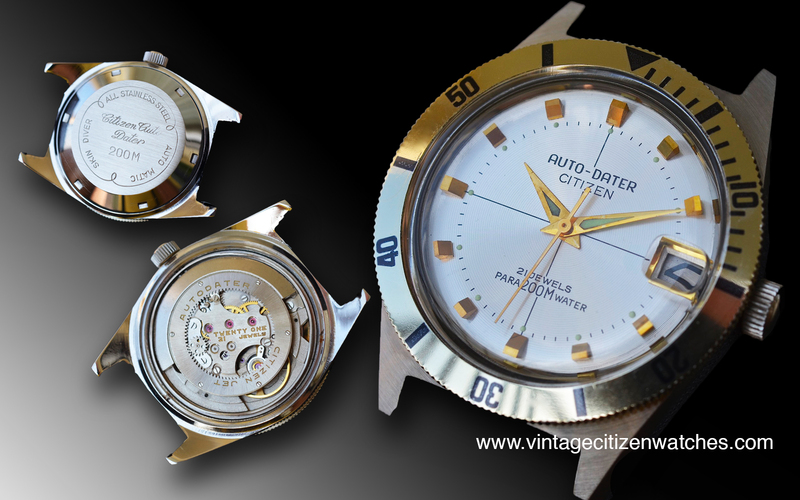 I bought this great Citi 200m automatic–the NP-4009-54E. It has been great, keeps good time, looks good, etc….Unfortunately I tend not to keep watches very long since I buy and sell them as a hobby, so I am posting it now, but I can’t seem to find any information on it. I would just like to know a few things.I did get the same of the movement from another watch, I don’t know if this model is discontinued but I couldn’t find it anywhere. I was also curious as to why it was advertised as a “diver’s watch” but has a crown that doesn’t lock down. One other thing…I’ve gotten different answers about the crystal. One ad said it used sapphire, and another one said that it was a crystal, or a compound. I also don”t know what the retail price was, because that sometimes helps me determine how much I’m going to sell it for.THose are all of the questions I have, looking forward to hearing back from someone there. Hello Ethan! Unfortunately your watch is not a vintage one so I don’t have any data on it. 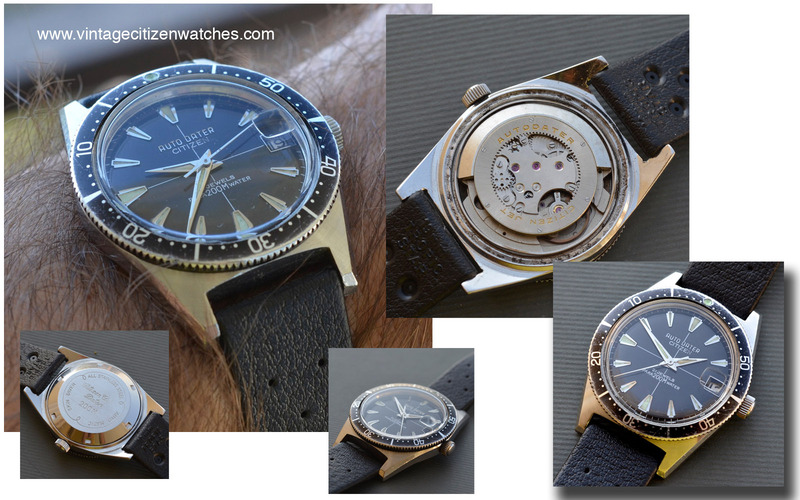 This site is focused on Vintage Citizen Watches. Even though yours is a nice one, it isn’t vintage.